Whatever the reason, every time the Lexus IS-F & racing are linked together, it ends up being super-confusing. 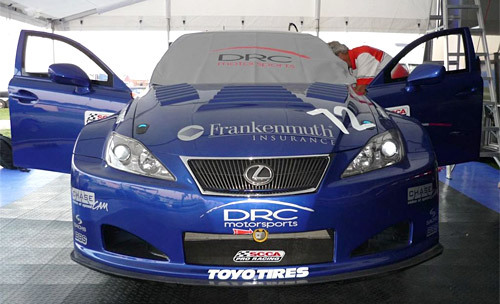 Case in point: My.IS has posted a story about pair of race-modified IS-Fs owned by DRC Motorsports that are about to enter the GT class of the SPEED World Challenge — only they’re not really IS-Fs, but the two race cars purchased from Team Lexus. Regardless, the cars are powered by a 510hp 4.7-liter V8, and the first one will be making its debut this weekend in Ohio. The driver, Jeff Altenburg, was last year’s SWC Touring Car champion. The race itself will be broadcast on SPEED TV on Thursday, July 24 at 1:00pm.